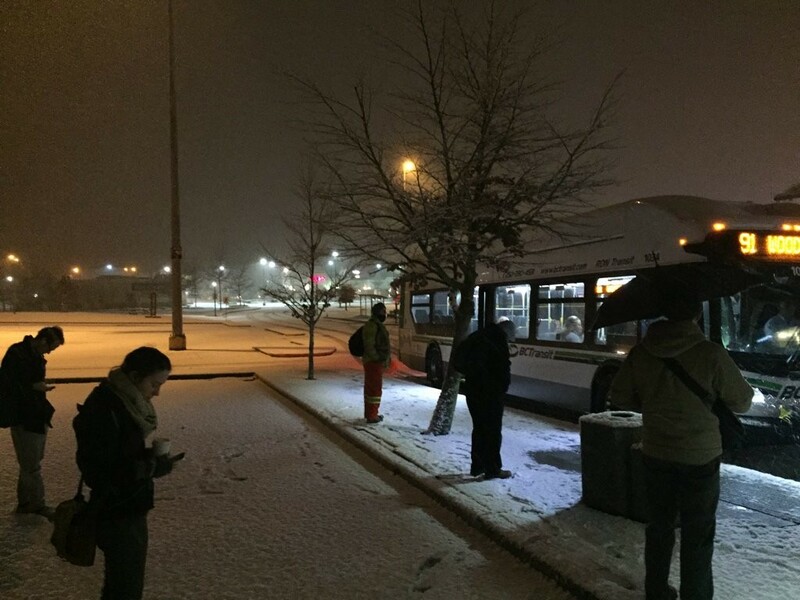 Updated 10AM : Unexpected Monday morning Snow in Nanaimo. Possibly more coming. 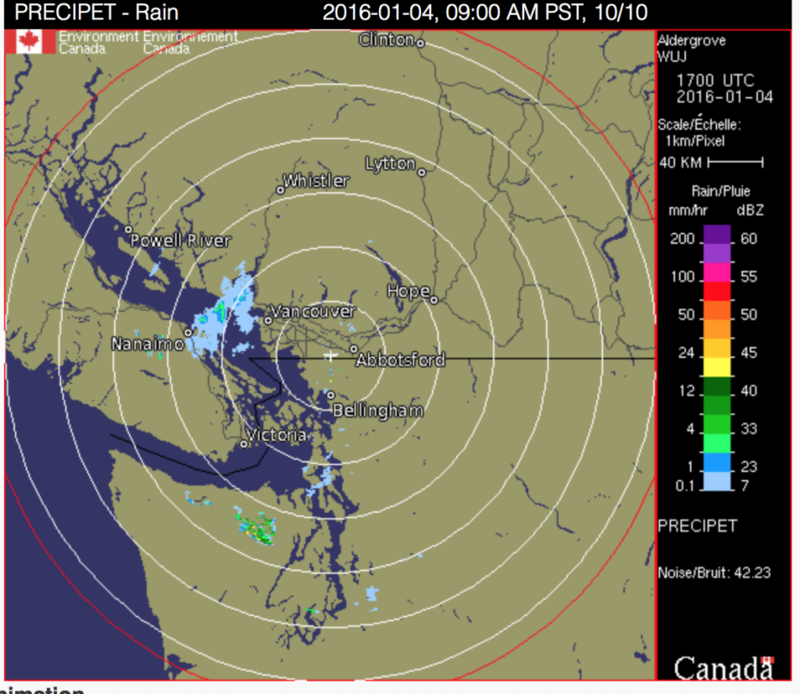 Latest Radar is showing another wave of precipitation/possible snow coming over the Strait towards Nanaimo/Parksville. 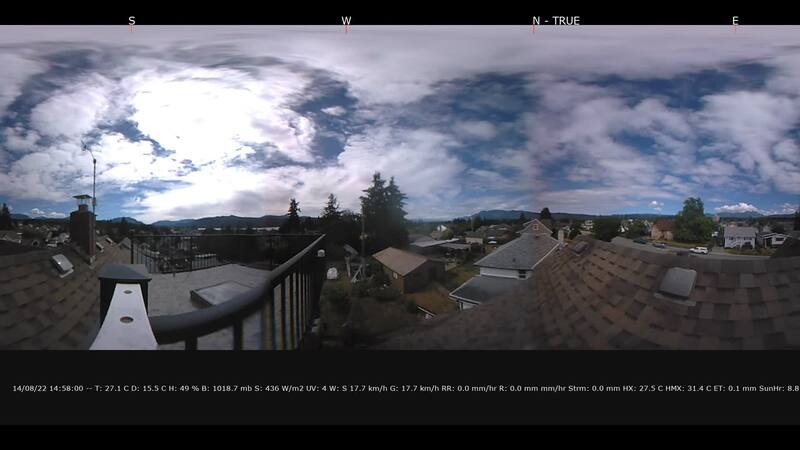 (not likely to reach as far as Port Alberni). There was nothing in Port Alberni or Parksville at 6AM or 6:45AM when I was there but then I looked up from my iPad and everything was white. This is the scene right now at Woodgrove at 7:15AM as I wait for my bus to VIU. Snowing. And sticking. Beware if you are driving to the East Coast. It is a little more than the “chance of flurries” in the forecast and wasn’t on the models last night either. Streets are very slick. Even the bus is having some trouble as streets have not been plowed yet. Here is the radar which only shows a few light pockets of precipitation, but it is enough. Here is the scene at VIU. It is not snowing here now. The Bunnies don’t seem to mind. Ok, so how long will the snow on the East coast continue today? Honestly I don’t have enough information to tell. Just keep an eye on the radar and webcams. 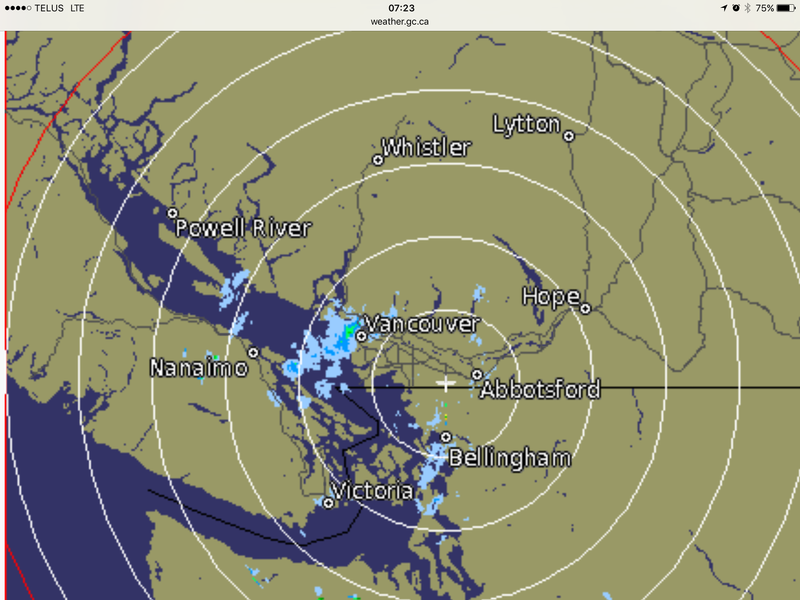 I do not expect the snow to fall in Port Alberni today. On the other hand, if tenperatures remain below or near freezing, we could definitely get accumulating snow Tuesday. Precipitation is supposed to travel up the Island starting early Tuesday morning. The 1-4AM forecast has it in Vancouver and the South Island. The 4-7AM forecast has it reaching us and then intensifying trough the mornin and into the afternoon. Whether this falls as snow or rain or something in between is too hard to tell at this point but I would say both the models and EC are leaning toward colder, and thus snowier outcomes. The precipitation will last into the evening on Tuesday and then take a break but it will start up again Wednesday morning with another possibility for either rain or snow depending on the prevailing temperature. The models do seem to indicate some slight warming by Wednesday afternoon though so that might indicate a better chance of rain than white.